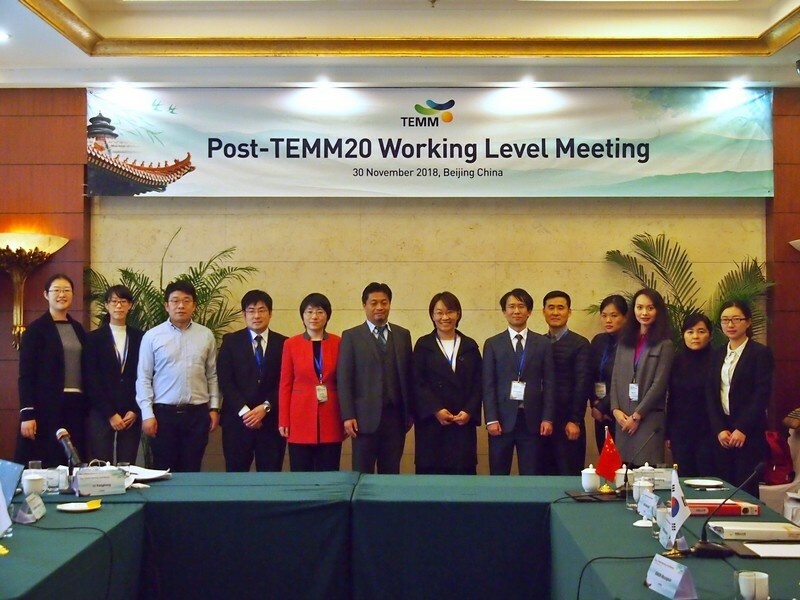 On 30 November 2018, the Post-TEMM 20 Working-level Meeting was held in Beijing, China, and TCS delegation headed by Director QIAO Wen participated in the meeting. 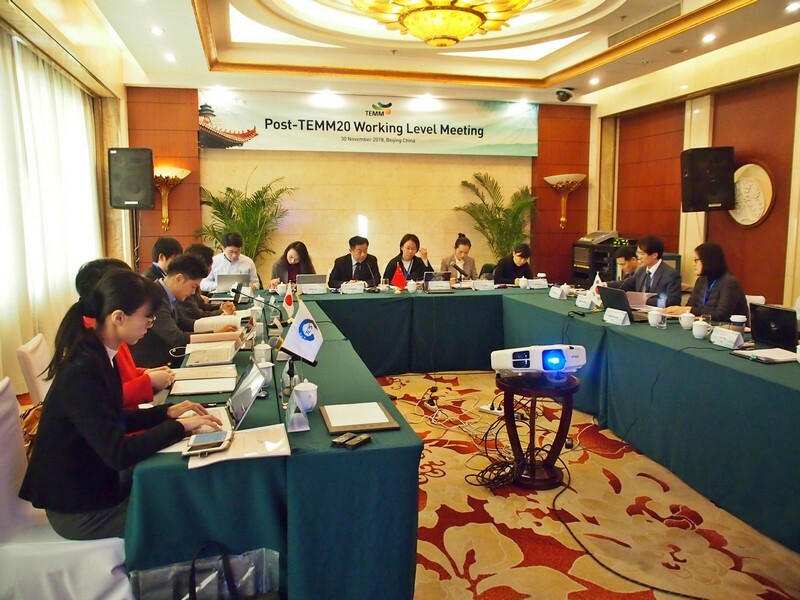 The aim of the meeting was to review the progress of trilateral environmental cooperation since the 20th Tripartite Environmental Ministers’ Meeting (TEMM20) held in June 2018 in Suzhou, China. 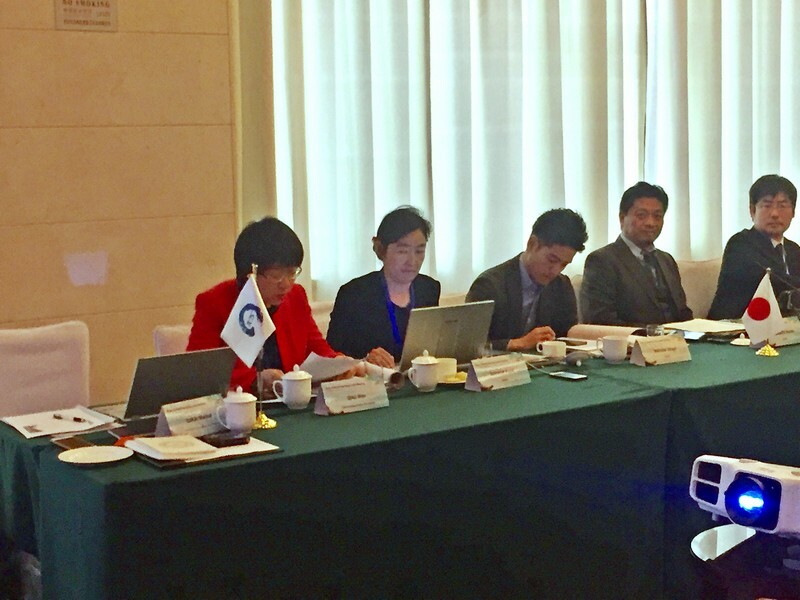 During the meeting, representatives from the Ministry of Ecology and Environment of China, Ministry of the Environment of Japan, and Ministry of Environment of Korea reviewed the implementation of the Tripartite Joint Action Plan on Environmental Cooperation 2015-2019 and also discussed future plans including TEMM21, which will be held in Japan in 2019. Director QIAO delivered opening remarks and a presentation at the meeting. She reiterated environment-related projects that TCS conducted under TEMM20, including the publication of the TEMM20 Anniversary Booklet and contribution to the TEMM Youth Forum. She emphasised that TCS will continue to support the three ministries to enhance public awareness of environmental protection and welcomed suggestions from the ministries on future roles of TCS. The three ministries highly evaluated the TEMM20 Anniversary Booklet and appreciated TCS for its support to the Youth Forum. They agreed to continue to cooperate with TCS and hoped that TCS can play a bigger role in the future. TEMM is one of the longest-standing trilateral mechanisms that was established to tackle environmental challenges and build a more sustainable Northeast Asia. Over the past 20 years, it has developed into multi-layered cooperation mechanism that addresses a wide range of common environment problems in the region. The three parties will continue to work together to take a leading role to contribute to the improvement of environment, both at regional and global scale.